Mr. Ravi Kant is the Vice-Chairman of Tata Motors, India’s largest automobile manufacturing company. Ravi Kant served as Managing Director of Tata Motors Ltd as also the Chief Executive Officer at Jaguar Land Rover of Tata Motors Ltd during its most challenging times. Mr Kant achieved two most transformational feats - the manufacture of Nano and the coveted buy out of Jaguar Land Rover. He holds a Bachelor of Technology degree from the Indian Institute of Technology, Kharagpur and a Master in Science from the University of Aston, Birmingham, UK & conferred with an Honorary D.Sc. by the Aston University, in Birmingham. He is an Honorary Industrial Professor at the University of Warwick, UK and was awarded the BMAManagement Man of the Year Award 2008-09. He is on the Governing Board of Value Columbia Centre on Sustainable International Investment & National Institute of Design, Ahmedabad. 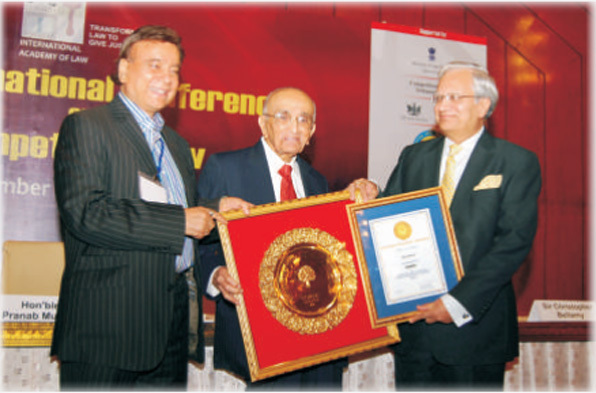 Mr Kant is also the Chairman of IIM, Rothak and is the Past President of the Society of Indian Automobile Manufacturers. Prior to joining the Company, he served Philips India Limited, LMLLimited, Kinetic Engineering Limited and Hawkins Cookers.